Indian Space Research Organisation (ISRO) on Friday in its Polar Satellite Launch Vehicle (PSLV-C38) launched the 712 kg Cartosat-2 series satellite for earth observation along with 30 co-passenger satellites. The total weight of all the satellites is around 955 kg. The co-passenger satellites contain 29 Nano satellites from 14 countries. Besides one nano satellite from India, the other countries include Austria, Belgium, Chile, Czech Republic, Finland, France, Germany, Italy, Japan, Latvia, Lithuania, Slovakia, United Kingdom and United States of America. This is India's 40th mission, apart from the first mission, all 39 missions have been successful. 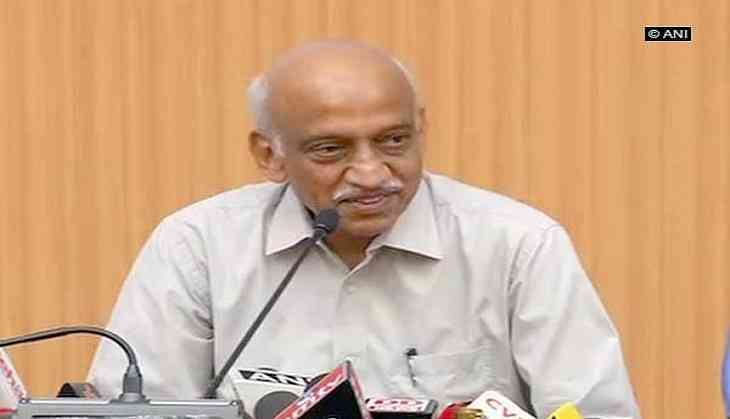 Indian space scientist and the chairman of ISRO Aluru Seelin Kiran Kumar said that PSLV is emerging as a credible launch vehicle for people across the globe. "PSLV is emerging as a credible launch vehicle for people because along with the access and the timeline, the frequency of the launch is excellent", said Kumar. With each PSLV launch, ISRO is trying to improve its capability in one new area, like multiple restarts, multiple orbits. Talking about the future plans, the ISRO chairman said, "The next PSLV launch is carrying a replacement satellite. The clocks of one of the first satellites have stopped functioning. So, we need to replace that. Before that, we have a communication satellite GSAT 17, getting launched on 28th of this month." Later this year, GSAT-11 will be launched. The study teams are presently working on Mars Orbiter II, Venus mission and asteroid mission. Once the plan of action is finalized, approval would be taken from the government. The work for approved science missions Aditya and Chandrayaan II is going on in full swing. Prime Minister Narendra Modi on Twitter congratulated ISRO for its successful launch. "Congratulations to ISRO on its 40th successful Polar satellite launch carrying 31 satellites from 15 countries. You make us proud!" Modi said in a tweet. The official Twitter handle of President Pranab Mukherjee in a post congratulated the space organisation for the mission. The tweet said, "Congratulations to ISRO team on the successful launch of PSLV-C38 carrying 31 satellites #PresidentMukherjee."